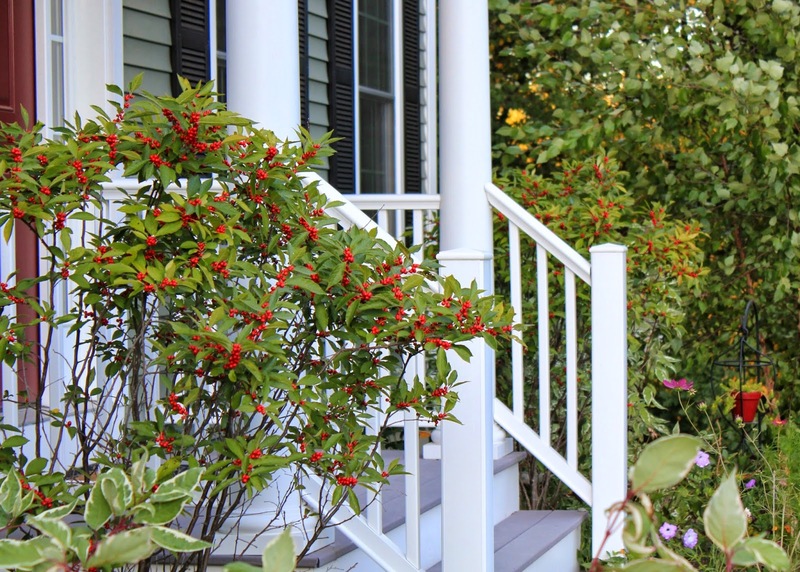 It may be officially fall, but it's beginning to look a little like Christmas in my front yard - my Winterberry Hollies are on full berry display! 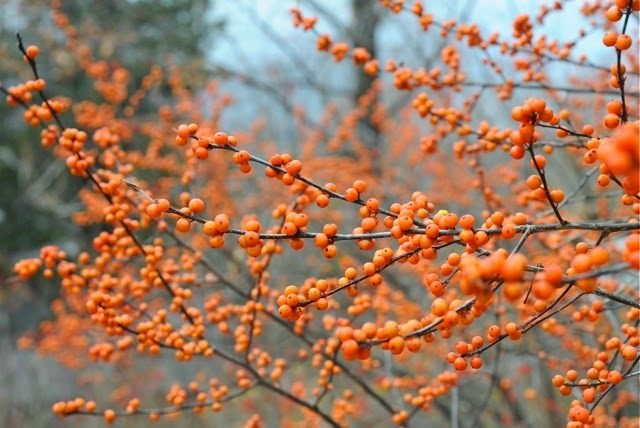 The Winterberry Holly, or Ilex verticillata, is a shrub native to Eastern North America. It is native to swampy areas, so, like many of our native hollies, Winterberries are great shrubs for poorly drained soil (hello, clay!). So why are they called Winterberries? 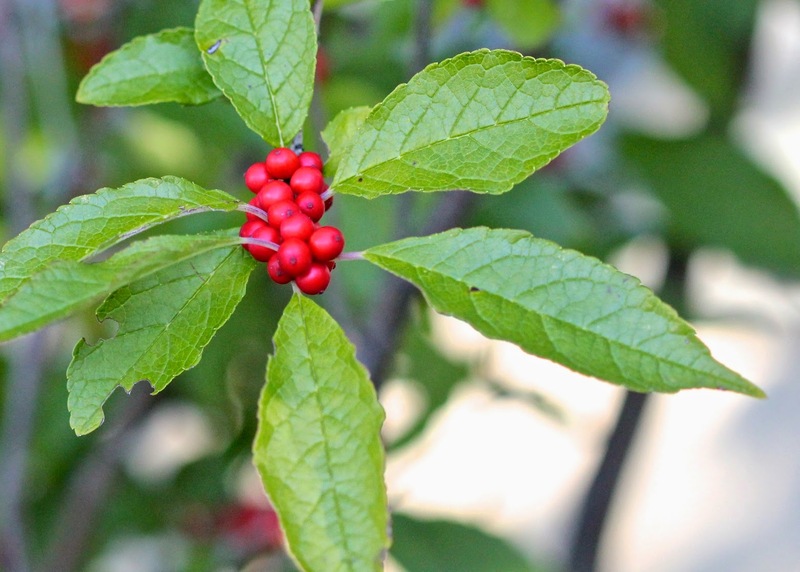 Winterberry Hollies are actually deciduous. Their leaves fall off, leaving just the gorgeous berries that remain over winter (thus Winterberries!) I know many people prefer evergreen hollies, but I like the softer leaves of the Winterberries better than many of the stiff, glossy evergreen varieties. 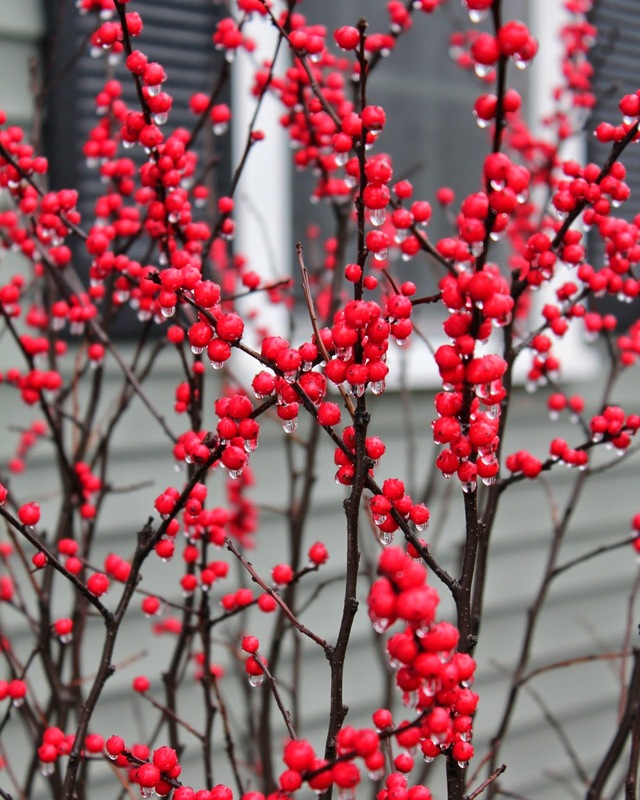 And how gorgeous do these branches look with just beautiful red berries on them? Random fact: Of the 400 species of hollies in the world, only about 30 are deciduous. Cut branches are often used in Christmas arrangements. You don't even need to put them in water; dry cut branches will keep well for weeks. Left outside, on the other hand, they will only last until the birds get to them! Last year all of my berries were gone by February, but we had so much fun watching the birds while they were eating them. 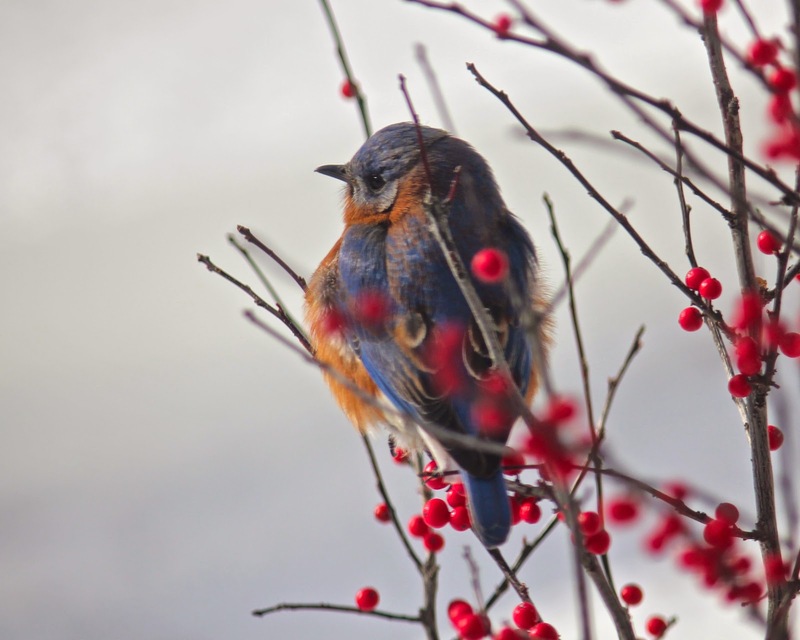 I think the Winterberries attracted every Bluebird on this side of town! 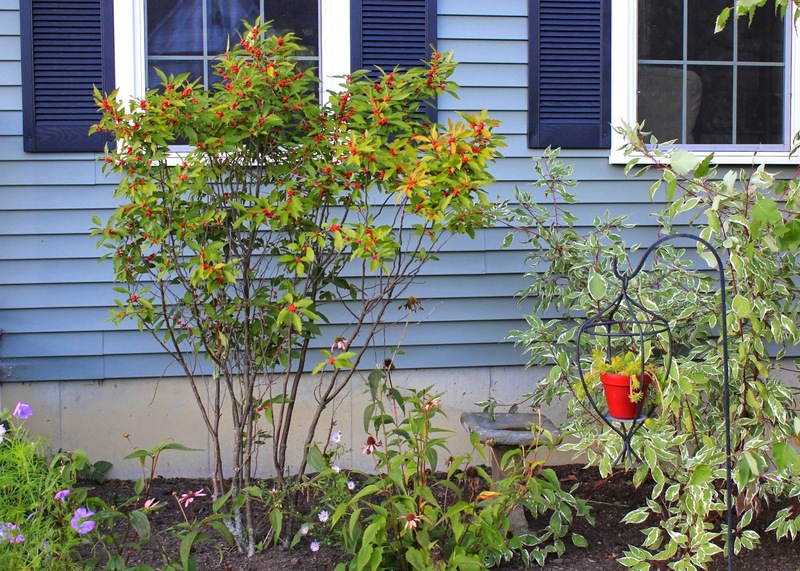 Wanting shrubs with beautiful winter interest, I planted 'Winter Red' Winterberry Hollies on either side of my front door. 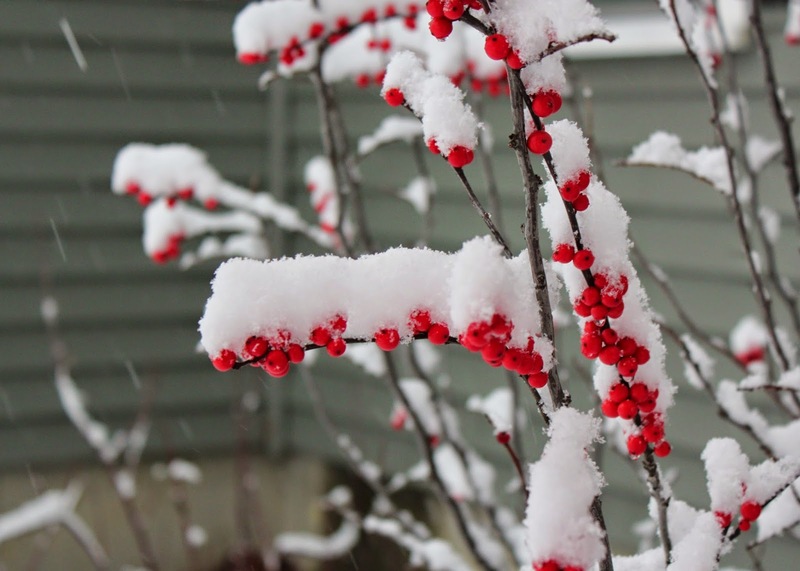 The cultivar 'Winter Red' is supposed to get between 6 to 9 feet tall and 6 to 8 feet wide. Of course, being a berrying holly, 'Winter Red' is a female. In order to get those beautiful berries, the girls need a gentleman caller, for which I have the compact 'Jim Dandy' Winterberry tucked into a corner of the yard. There are quite a few different cultivars of Winterberry Holly. Some of the popular ones include the short and compact 'Red Sprite', the very berry-heavy 'Berry Heavy', and the yellow-orange berried 'Winter Gold'. 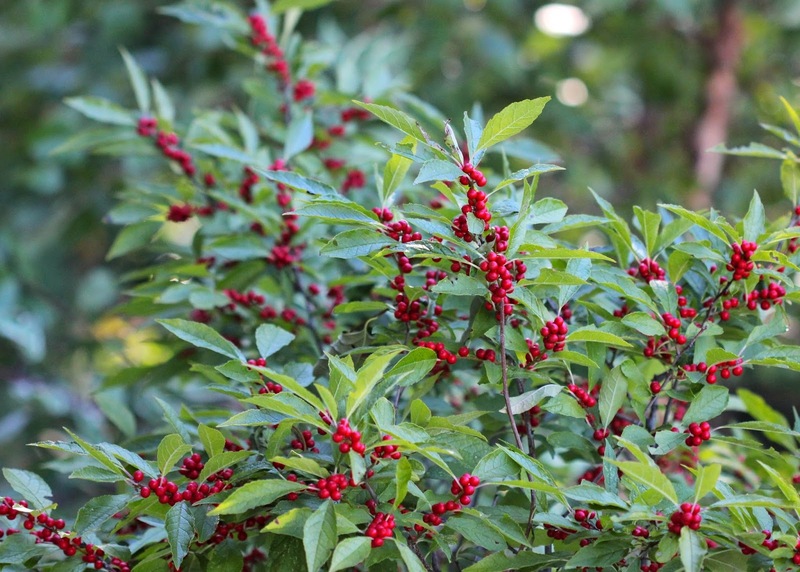 Winterberry Hollies can be grown in full sun or partial shade, but they will produce more berries with more sun. Most cultivars are hardy from zones 3 - 9, and they have very few problems with disease. These extremely hardy shrubs are also tolerant of air pollution, clay soil, wet soil, erosion, and zombies... (just kidding, though they are deer-resistant!) They are relatively slow-growing shrubs, though, so it is a good thing that they are deer-tolerant! 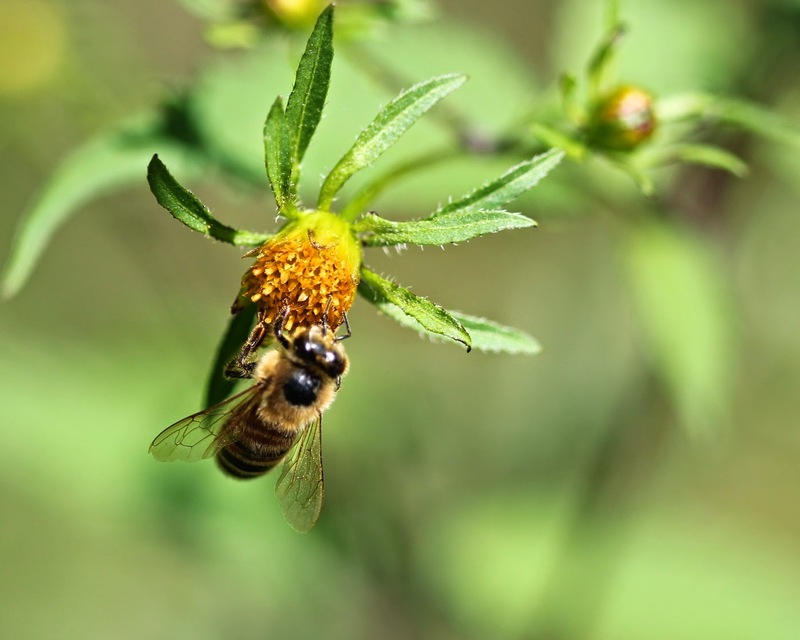 The one thing they don't tolerate, however, is alkaline soil - only plant Winterberries in acidic soil unless you want them to turn yellow and keel over on you. 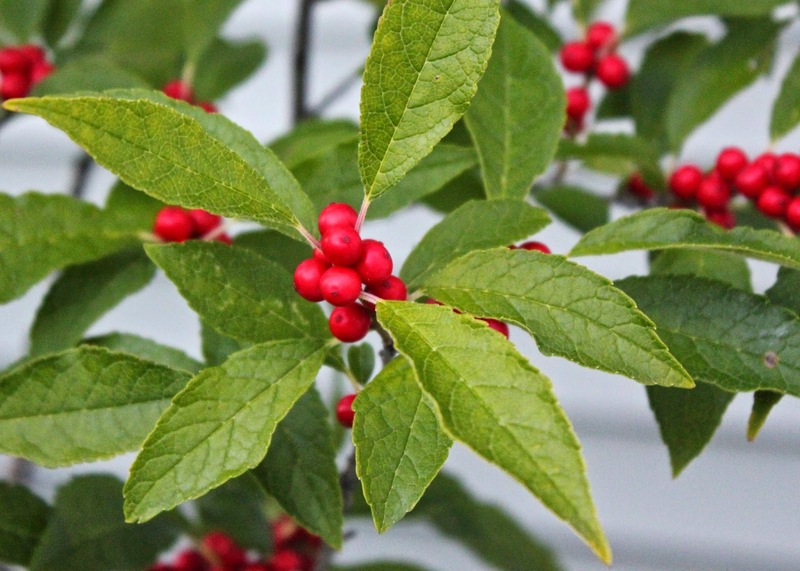 But if you are looking for a great shrub to plant this fall in one of those tough, wet, clay (and acidic) sites, Winterberry Holly just might be the ticket! It is now September. 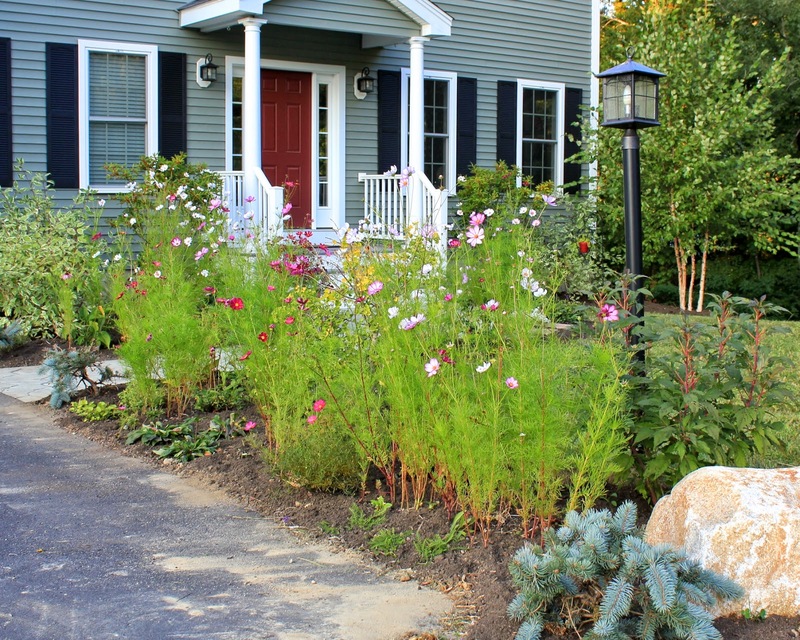 Gone are the multitude of Purple Coneflowers, but in their place are now one of my favorite cottage annuals - Cosmos! I read on a garden website somewhere that if you have trouble growing Cosmos, well, you might just want to take up golf! I, for one, am thankful for such easy to grow plants that put on such a great display with very little effort from me. 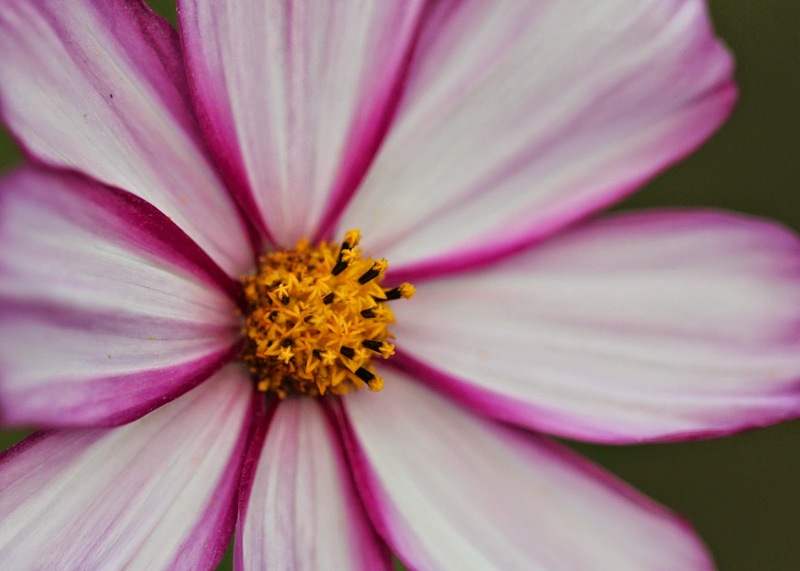 Cosmos bipinnatus are ridiculously easy to grow from seed. In the spring I went around the garden throwing seeds all over right before a good rain, and that was pretty much all the care I gave them. 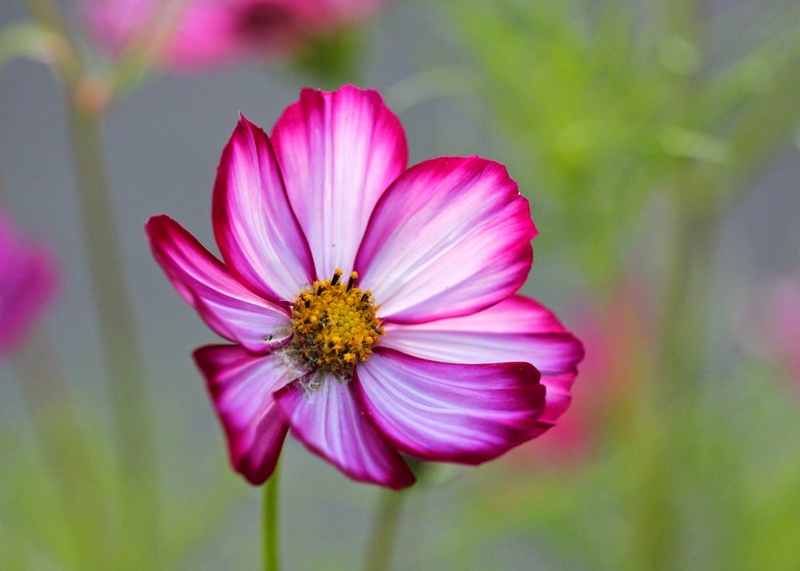 Cosmos bipinnatus are part of the Aster family and are sometimes called Mexican asters (since they are native to Mexico). 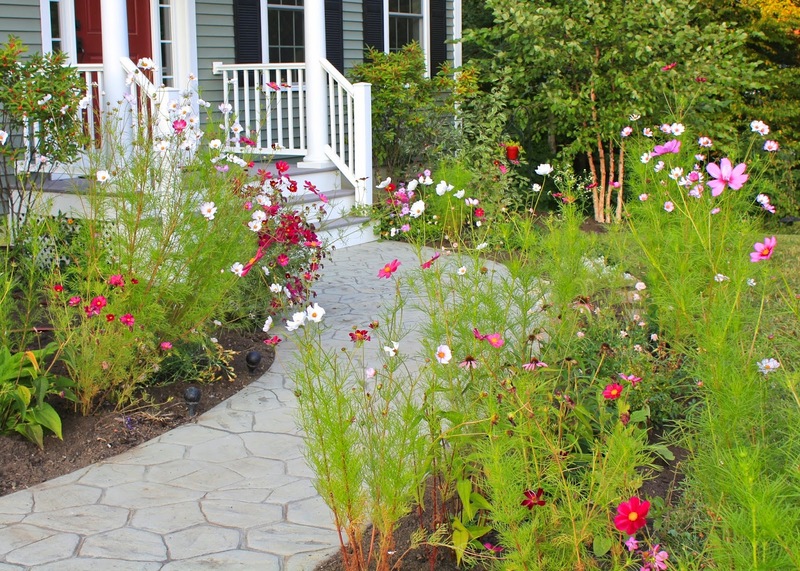 They tolerate poor or dry soil. Just give them plenty of sun. 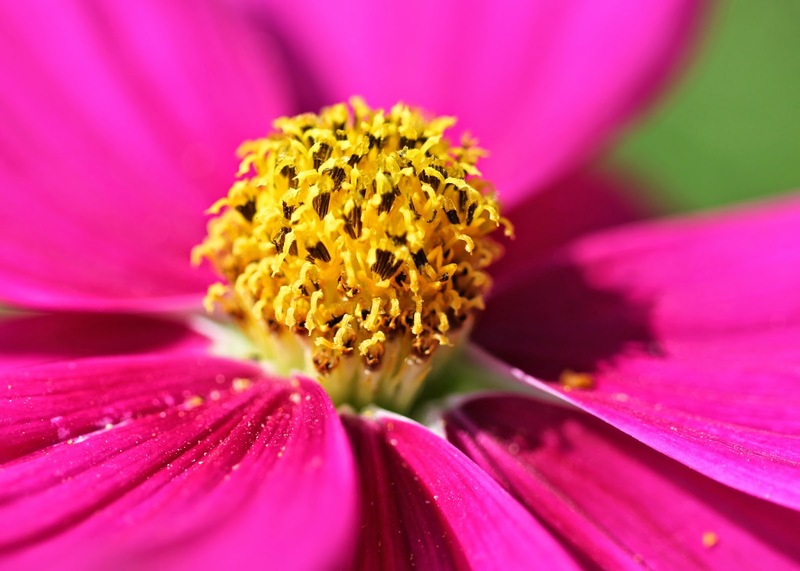 The bees love them, and soon the Cosmos will be bursting with seeds and attracting Goldfinches in droves (as well as a couple children that like collecting the seeds for their next year's garden). If it is possible to stop gazing at the Cosmos (they are mesmerizingly beautiful), there are other things going on in the garden. 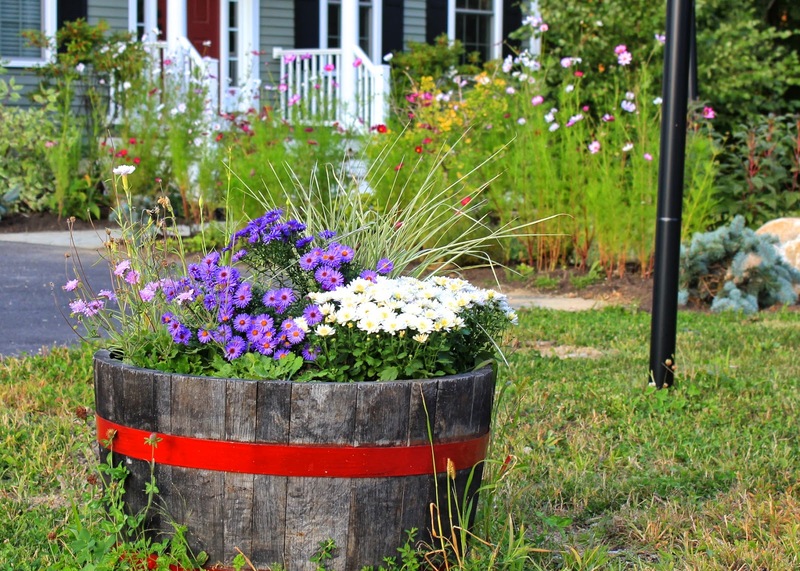 The chilly weather we've suddenly been having turns a gardener's mind to Asters and Mums, both of which went into my whisky barrel planters. 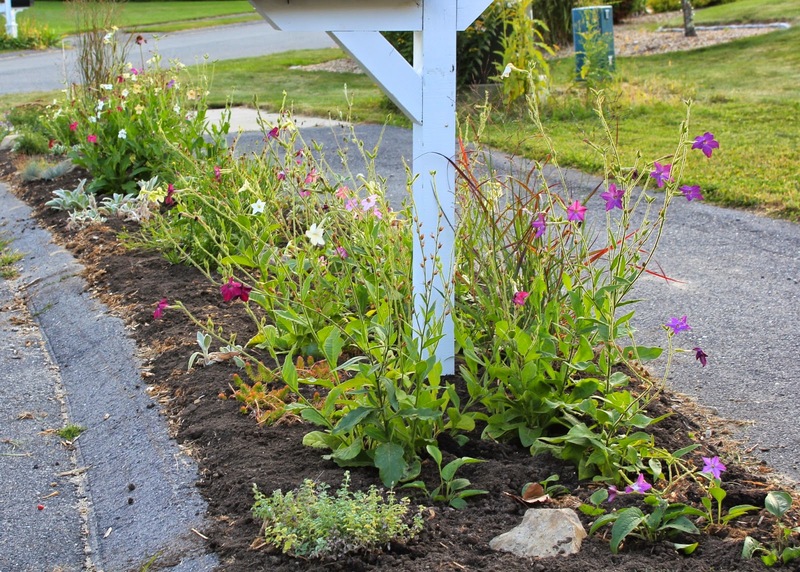 The Nicotania is still going in the mailbox garden. 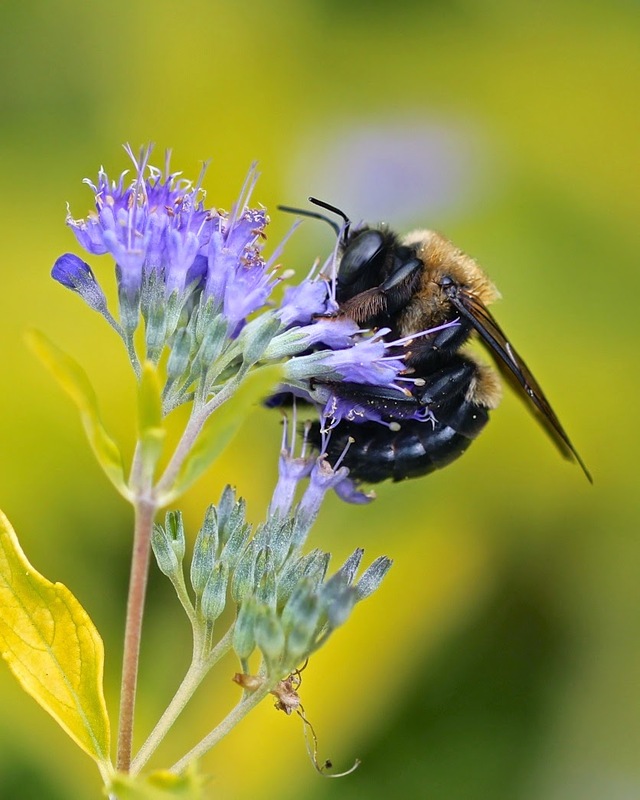 The Caryopteris 'Worcester Gold' is in bloom, to the delight of many different types of bees. This time of the year is also when the Goldenrod blooms. I didn't personally plant any Goldenrod in my garden (in fact I weeded some out), but all the wild areas around the yard are full of the beautiful golden flowers. It's hard to believe that the summer is pretty much over. There's a nip in the air, and newscasters are already talking of possible frost. I refuse to believe it! 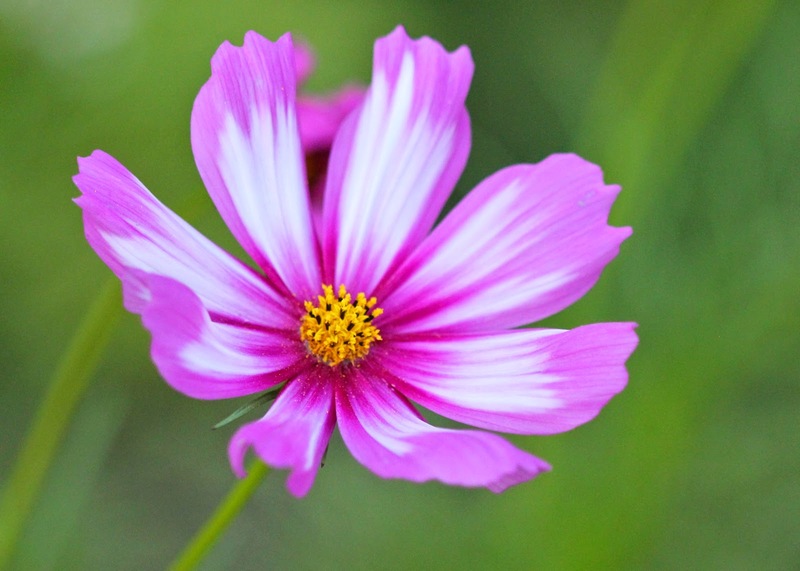 I'm going back to gazing at my Cosmos and thinking summery thoughts! I hope you all are enjoying the last few days of summer gardening! 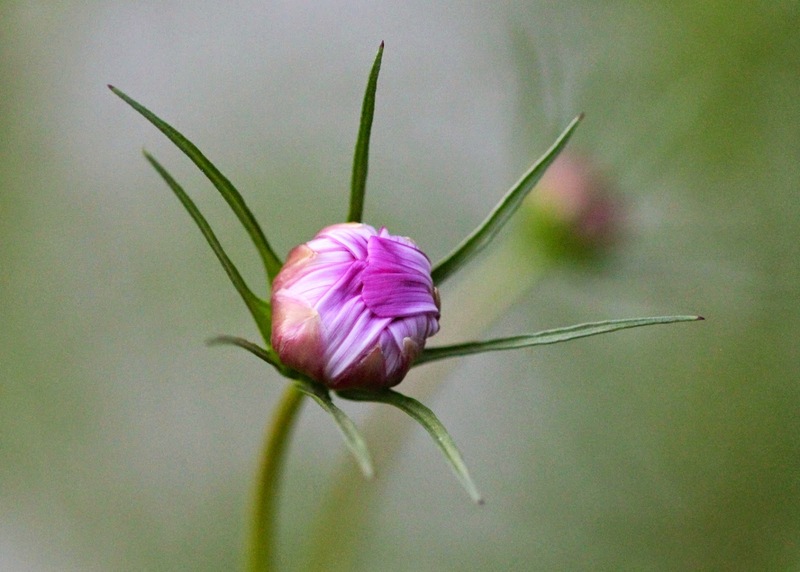 To see what other garden bloggers around the world have blooming in their garden, visit Garden Bloggers' Bloom Day over at May Dreams Gardens blog. Leaves of Three, Let It...Bloom? 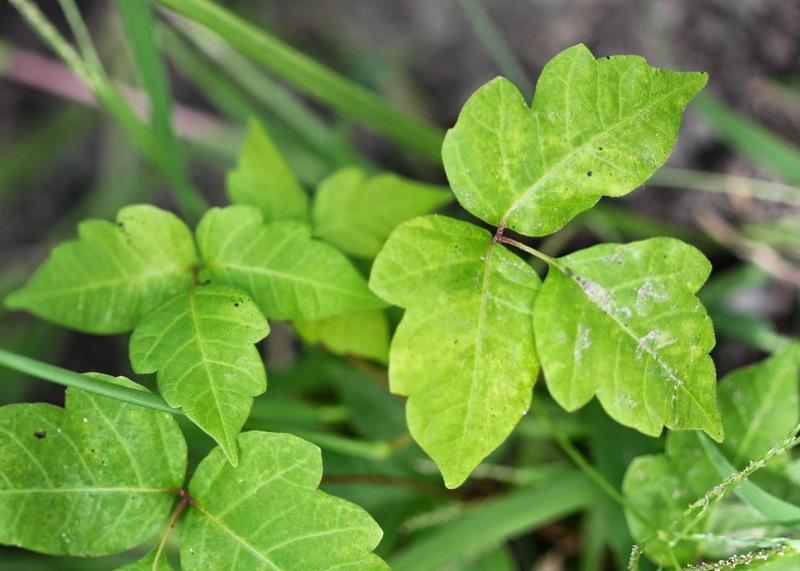 Growing up, I was never allergic to poison ivy, so when I started gardening as an adult, I never bothered to learn what it looked like. After an intense weeding session several years ago, however, all of that changed. I was apparently no longer immune to poison ivy - and I was bound and determined to never suffer such a bout of itchy miserableness again! I quickly learned to spot the infamous 'leaves of three'! 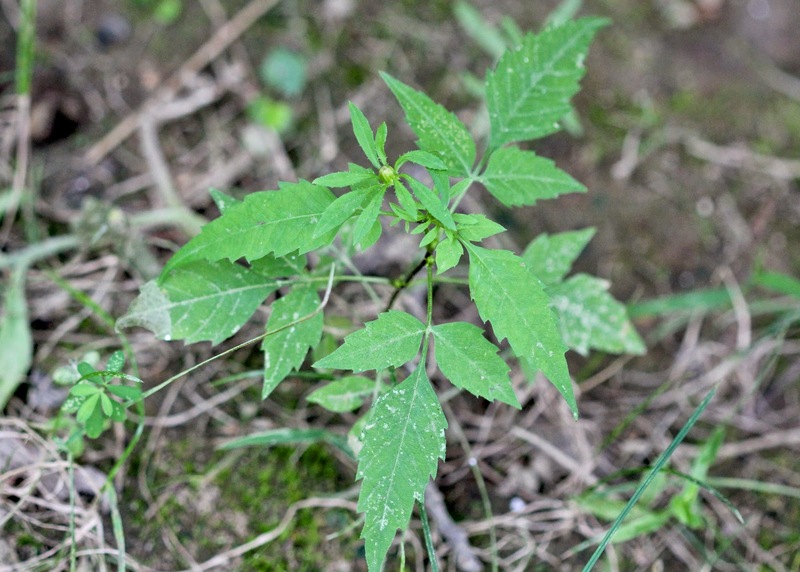 This area is known for having copious amounts of poison ivy (as many fellow gardeners told me after moving up here to the Northeast), so I was dismayed but not surprised when many 'leaves of three' popped up this spring in the shady area under my back deck. Every few weeks I went into the backyard carefully armed and protected with gloves and plastic bags and removed all the offensive seedlings. My kids were not allowed to play there under the deck, and when we had to stain the wooden deck supports this summer, Mr. Red House and I wore protective boots and dreamed about our future patio that would smother all of this poison ivy. Then the other day I noticed a very curious thing. I spotted a poison ivy plant that I had missed in my weeding, and it was... blooming? All those plants under my deck weren't poison ivy at all! 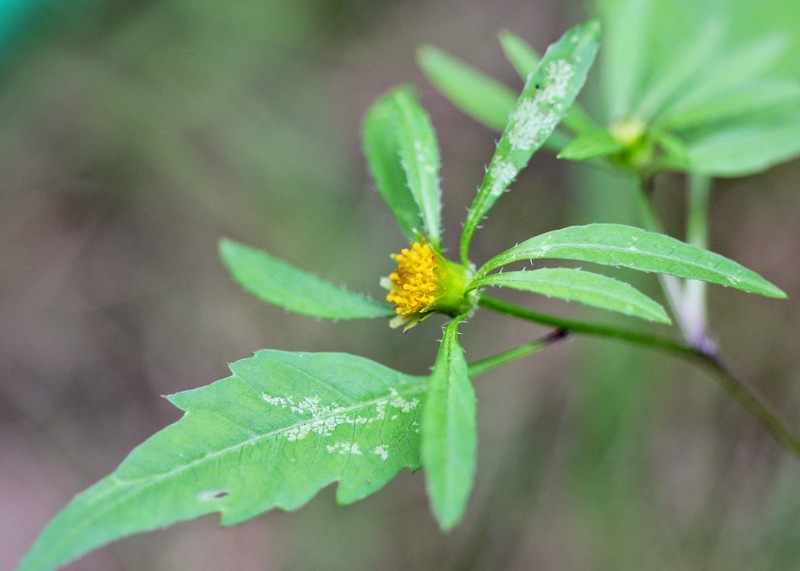 Those impostors were actually Bidens frondosa - I had been most carefully pulling up a harmless native wildflower. 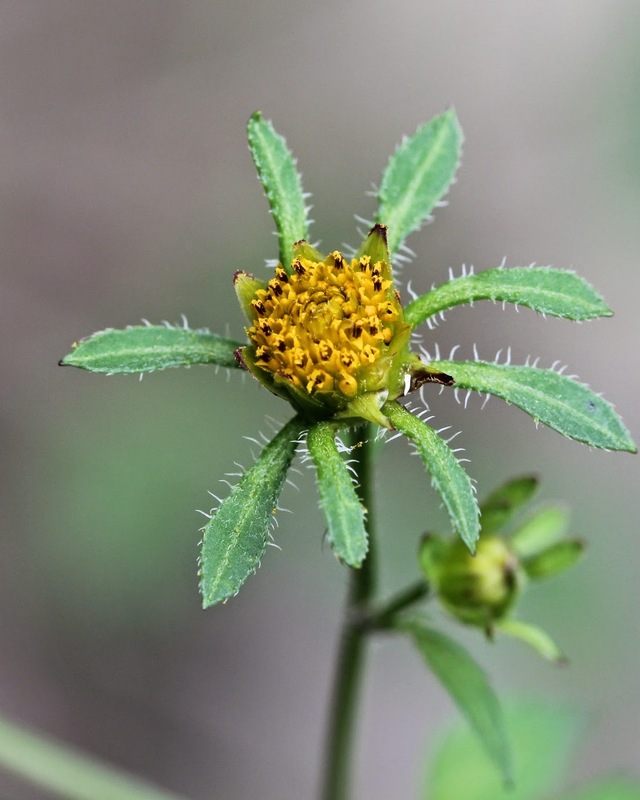 This Bidens has been introduced into other parts of the world, such as Europe, Asia, and New Zealand, and has proved to be a noxious weed there, as it grows so readily. The seeds of this Beggar-tick are much like all the other similarly nicknamed plants - they cling onto animal fur or clothing or anything that brushes up against them and can be a pain to get off. (That, and the fact that the seeds are shaped vaguely like a pitchfork, is probably what earned it the nicknames 'Devil's Beggarticks' and 'Devil's Pitchfork'.) 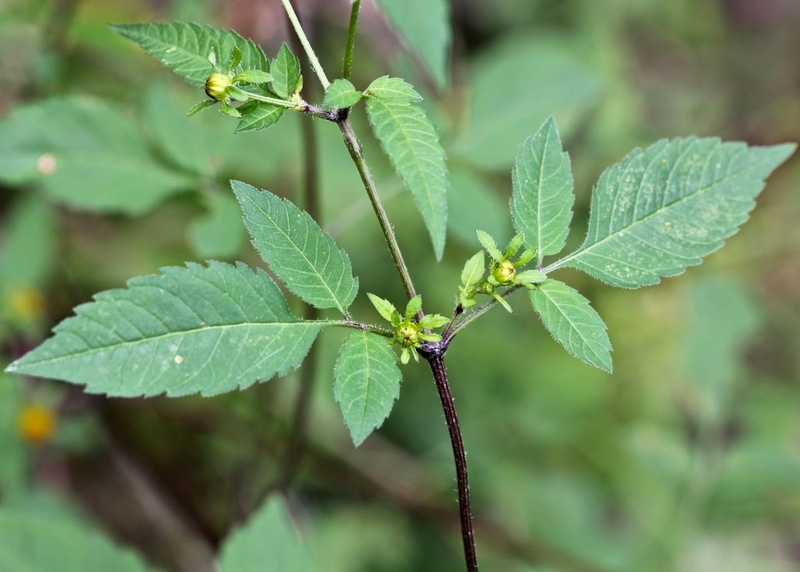 As you can see, this is one of the non-showy Bidens, as it doesn't have outer yellow petals like some other Bidens have. 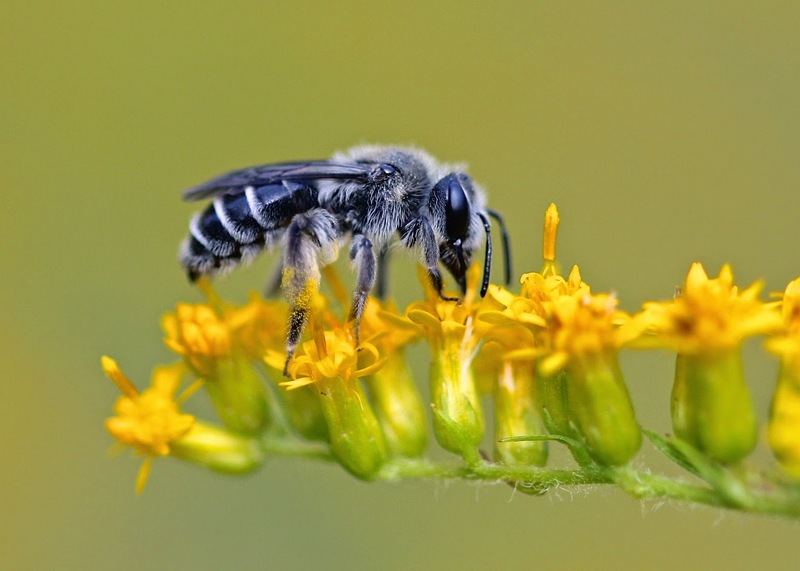 Thus the flowers are not really noticeable or that pretty (unless you are a pollinator, anyway). 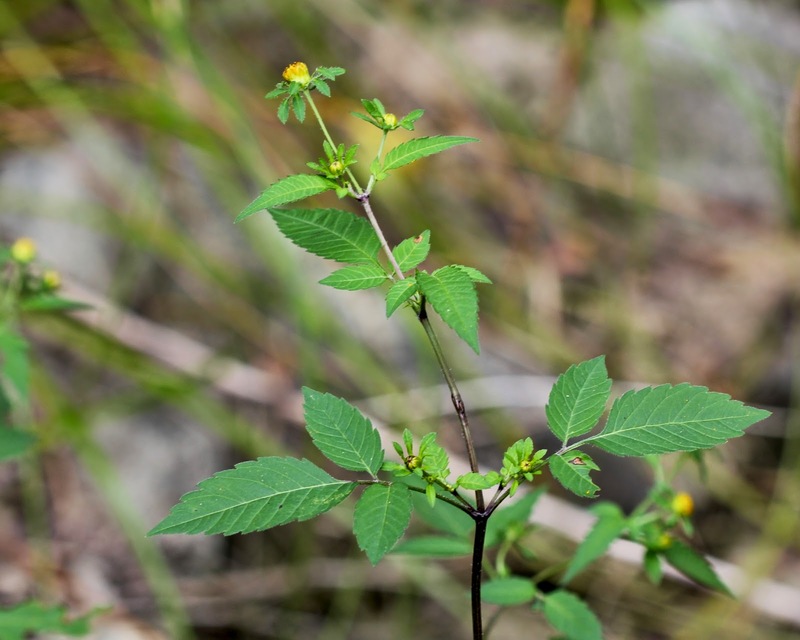 So how can you tell the difference between this wildflower and poison ivy? 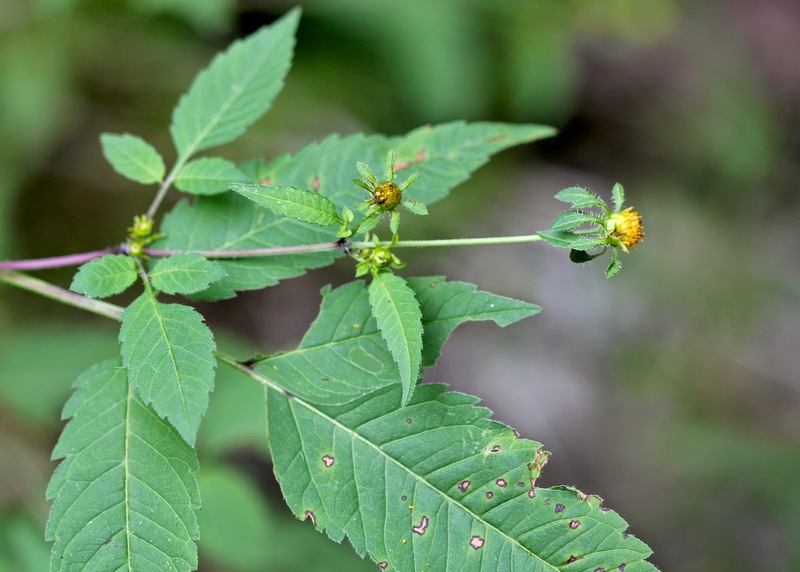 Well, apparently the leaves of poison ivy alternate along the stem, while the leaves of Bidens frondosa are opposite each other. Aha! 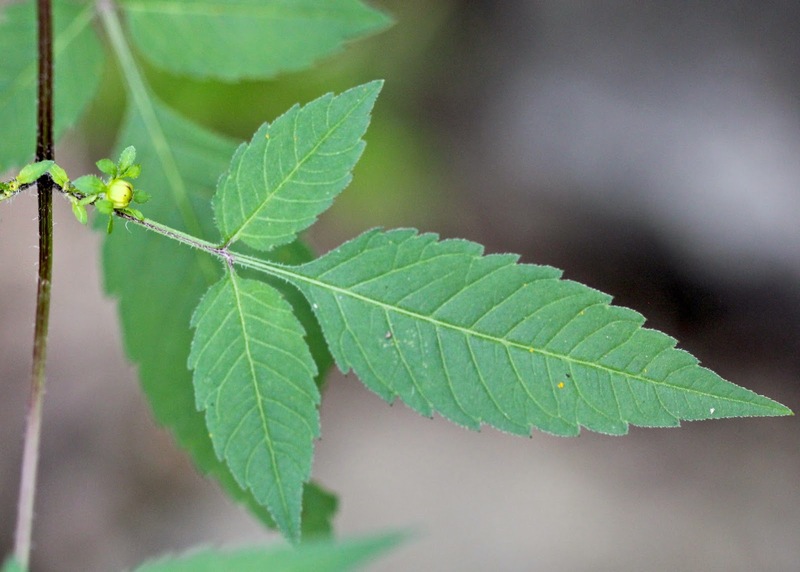 Leaves are directly opposite each other = not poison ivy!